Kent, NY (October 2, 2018) – A motor vehicle collision involving a large commercial tractor-trailer took place on Interstate 84, early Monday morning, October 1, in Putnam County. 52-year-old, Thomas W. Cipolla, of Beacon, was tragically killed in the crash when his 1994 Toyota Camry struck the underside of the big rig. According to state police, 36-year-old Sergio Khundiashvili, of Brooklyn, was operating a 2015 Volvo tractor-trailer eastbound on the I-84 at around 3:50 a.m. Khundiashvili was in the left lane of the interstate when he struck the guardrail for reasons that are currently unknown. The commercial vehicle jumped the guardrail after contact and overturned onto the driver’s side. Cipolla, who had been directly behind the tractor-trailer at the time, crashed into the large truck, causing both vehicles to burst into flames. Khundiashvili along with a group of bystanders helped to extricate Cipolla from the burning Toyota. Cipolla was immediately transported to Putnam Hospital by Patterson EMS where he pronounced dead a short time later. Patterson Fire Department transported Khundiashvili and his unidentified passenger to Danbury Hospital where they were treated for injuries considered to be minor. The I-84 was closed down until after 2:30 p.m. and no citations were issued. Police are actively investigating the events that led to this accident. First and foremost, we would like to offer our warmest thoughts and prayers to the family members of Thomas W. Cipolla during this overwhelming time. 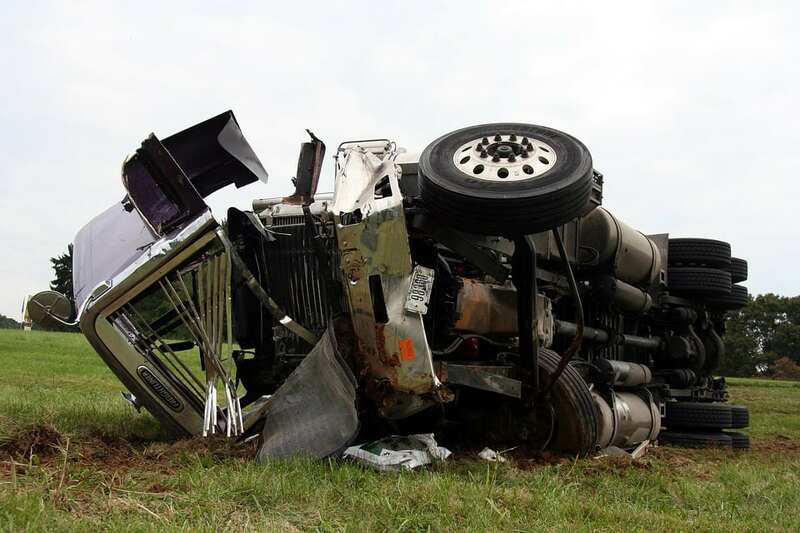 New York truck accidents often come with devastating results due to the sheer power of large commercial tractor-trailers. It is terribly important to understand that you have rights, especially when your suffering is caused by the negligence of another driver or entity. At Hach & Rose, we are painfully aware of the devastation that so many negligent drivers inflict upon victims and their loved ones. Our compassionate and experienced New York accident attorneys are dedicated to helping victims recover compensation and easing their burdens during their time of need. If you have lost a loved one in a New York truck accident, call 212-779-0057 today.